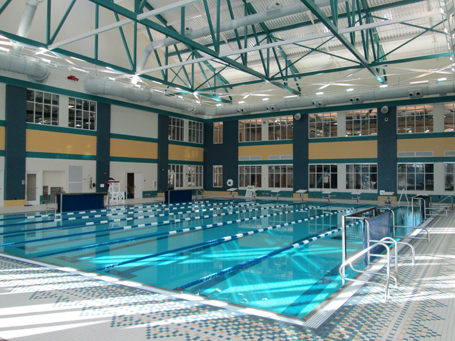 The University of North Carolina at Wilmington celebrated the completion of its new Student Recreation Center in April 2013. This 95,400 sq. ft. building offers campus recreation and wellness services aimed to educate students about healthy lifestyles. Construction of this $25 million facility was fully funded through student fees as the state of North Carolina does not permit state tax dollars to go into building recreation areas or facilities.